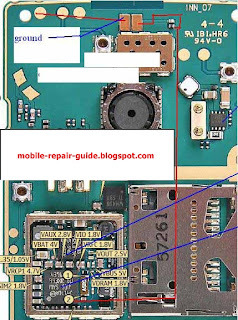 Still talking about Nokia N82, here we provide the power switch ways jumper guide. This technique needed when your N82 power switch pad broken, you must reconnect the line directly to other parts by using the schematic diagram help. But here, you don't need the schematic because we provide the picture guide for you, to make your repair process easier.